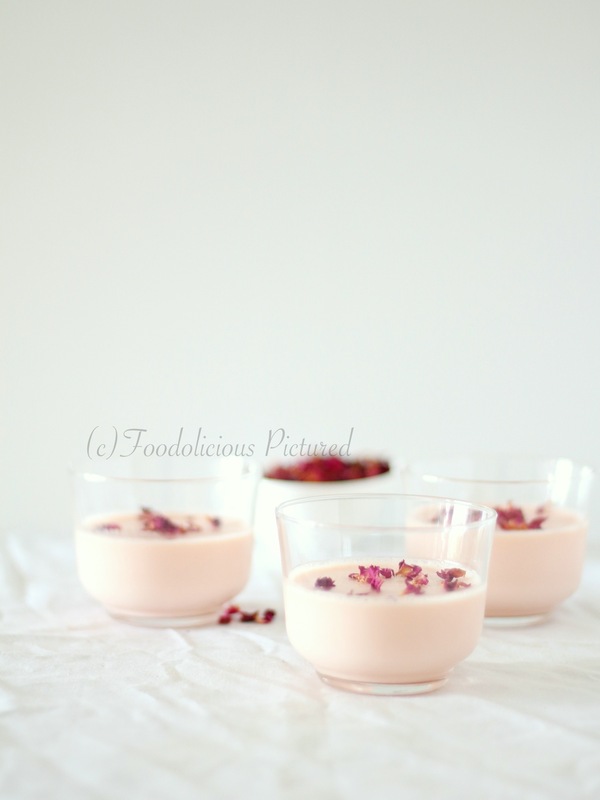 Starting the new year with one of my favourite dessert – Panna cotta. 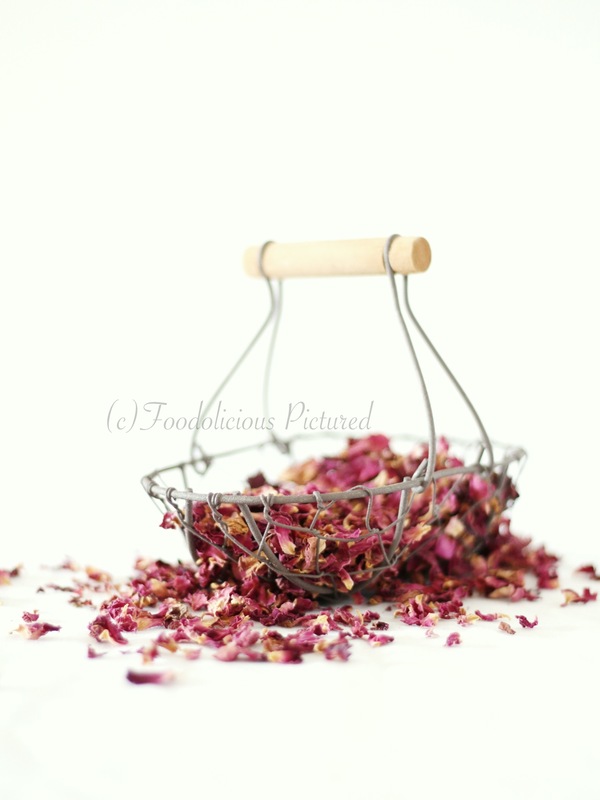 It normally works with berries or tropical fruits but here I went to with rose flavour and used dried rose petals for garnishing – simple yet so exquisite! Sprinkle the Gallatin in the cold water and set aside for 2-3 minutes to soften. 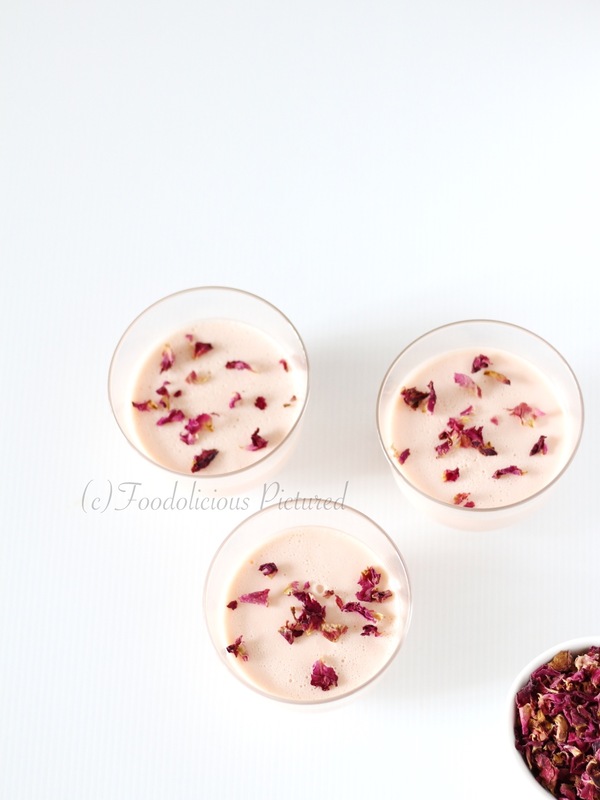 In sauce pan; pour the milk, cream, vanilla essence, rose essence, sugar and bring to almost boil. Turn the heat off and add the gelatin. Whisk until the Gallatin has completely dissolved. Now pour the mixture into induvial serving glasses/bowls and set aside to cool completely. Once cooled, chill in the refrigerator for 3 hours or until set. 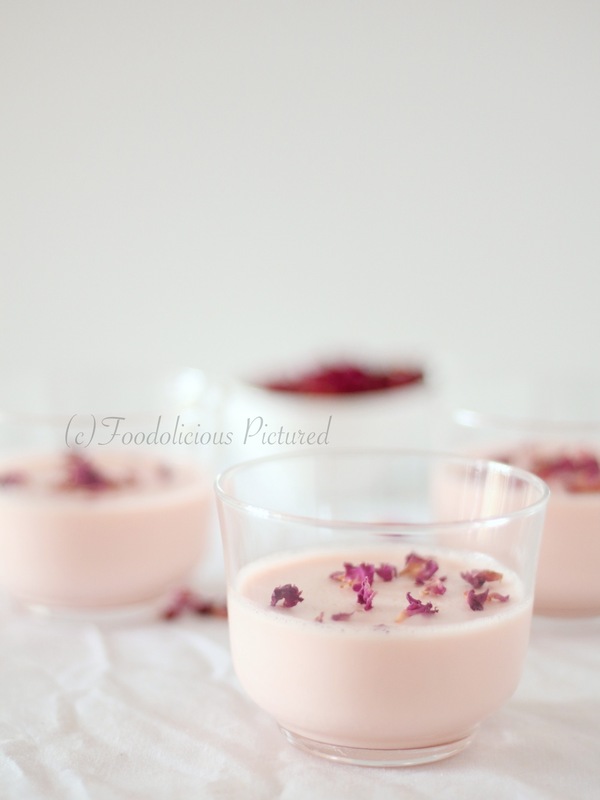 Lovely pink panna cotta ! I am not too fond of rose flavor, but your pictures are making me think otherwise. Loved the second shot!